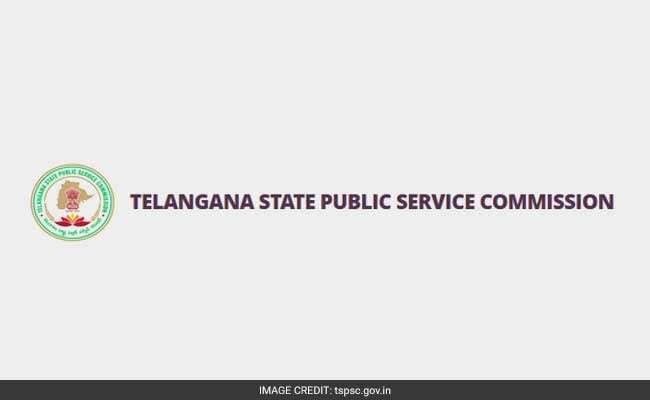 Telangana State Public Service Commission (TSPSC), Hyderabad has released the schedule for main examinations for PD, PGT and TGT in residential educational institutions societies or Gurukul education institutions. New Delhi: Telangana State Public Service Commission (TSPSC), Hyderabad has released the schedule for main examinations for PD, PGT and TGT in residential educational institutions societies or Gurukul education institutions. The schedule has been released on the official website of the Telangana state PSC. 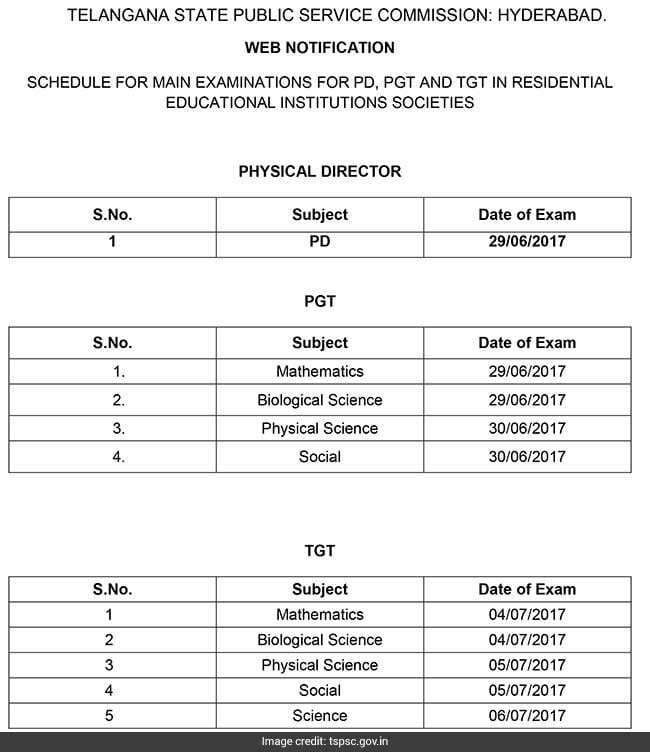 TSPSC Gurukul PGT, TGT and PD main examinations will be held on June 29, 30, July 4, 5 and 6. Mathematics and Biological Science PGT exam will be held on June 29 while Physical Science and Social exams will be held on June 30. In TGT, Mathematics and Biological science exams will be held on July 4, while Physical Science and Social exams will be conducted on July 5. TGT Science examination will be held on July 6. PD main exam will be held on June 29. Telengana State Public Service Commission had on last February announced a windfall for women in the teachers' recruitment of 7,306 vacancies in all residential schools (which also known as Gurukul Ashram Schools) in Telangana. According to a report published in The Hindu newspaper, about 80 per cent of the vacancies announced in this recruitment in the residential schools are reserved for women candidates of the state.